Can foreigners own property in Indonesia? This is obviously the most important question and the answers will vary with different opinions but over the last 12 months this question has become much clearer and the market now has a clearer direction. However the buying of property in Indonesia is more complex than other countries and apart from the laws you also need to look at zoning, land uses, environment issues, local customs etc. BVR Property can guide you through this process but then we will strongly suggest that you then do your own due diligence with local authorities, tax advisors, lawyers, and Notarists. BVR Property can assist you with some suggested professionals that we work with and who we know will provide you with the right advice. Basically only an Indonesian citizen can own Freehold property and a Foreigner cannot own a Freehold Property in Indonesia. Depending on the size and use of the property there are a few legal options and variations that can make this possible. Having said that the Indonesian Government now allows foreigners to own apartments in high rise complexes (mainly in Jakarta ) over a certain size and price level which is the first sign of starting to soften some of the regulations for foreigners? This is probably the safest and easiest way to own property in Indonesia. Usually, you will lease the land for say 20 – 25 years with additional options to extend the lease in the future. A leasehold property can be in your own personal name. It is also easy to sell a leasehold property to another person (called over contract) or it automatically passes on to your heirs in the event of death. This is the Governments approved a method for a foreigner to buy/own a Freehold Property in Indonesia. In general terms, the property will be owned by the Government and they will give you the Right to Build and use the property for up to 25 years with standard options to extend. At any time you wish to sell this property to an Indonesian then it can be reverted back to normal freehold status with various fees etc. There are some conditions associated with this and the main issue being you must have a Kitas (visa to stay in Indonesia) and it is your principal place of residence? The alternative option is to perhaps form an Indonesian company knows as a PMA which can own the Hak Pakai. Some larger properties may allow Foreigners to own shares in the PMA so that it is important to first check for the proposed line of business with the prevailing Negative Investment List issued by the Investment Coordinating Board (BKPM) of the Republic of Indonesia. HGB titles allow the holders to build/construct and own any approved buildings on the State owned land. An HGB title can be owned by Indonesian citizens or an Indonesian legal entity such as Foreign Capital Investment Companies (PMA / PT PMA). The HGB title is usually granted for up to 30 years plus various extensions up to a period of 80 years. This is a structure whereby a foreigner buys a freehold property and puts it in a local Indonesians name. They would then form other side agreements, loans/mortgages and leases to protect their investment. However, over recent times many problems have begun to surface with this system and we do not recommend you take this option. However, the capital gains and returns may out way the risks and many people still use this option. BVR Property again strongly suggest that you seek legal advice if you wish to look at this option. With all the above options BVR Property would be happy to discuss each of these options with you personally and help give you some direction and recommend the relevant lawyers and advisors. What and where should I buy in Bali? If you have an idea of what you want then this is easy but if you don’t BVR Property will help guide you through the many options and areas and help you zone in with what might suit you best. i. Initially, we will ask you WHY do you want to buy a property in Bali? The reasons will differ and hence the type of property best for you will also vary. A long term investment/land bank? An existing stand alone Villa? A place to stay on holidays? A strong rental return on your investment? Somewhere to build your dream home? A unit in a complex/estate? Something near the rice fields, near the surf or near the shops and nightlife? ii. What is your budget? (most properties are priced in Indonesian Rupiah or $US). Your budget will affect where and what you can buy but Bali never ceases to amaze us with the number of buyers from all over the world who arrive with very large budgets in the many millions of dollars. So whichever level you are considering there will always be other parties interested in the same areas and budget levels which ensure continued growth and demand. iii. From here we will then help to narrow down your options and suggest which area/s and property type will suit your reasons best and then offer or help you find the best property for you. Which is the best area to buy in Bali? Again this will depend on your requirements, budget, and timeline. Obviously, some areas such as The Bukit, Seminyak areas and Canggu areas have already experienced some rapid and tremendous growth over the past years. Places like Seminyak will always have strong rental demand and hence will always show strong rental returns. Other areas further out where the growth is spreading to may also be good long-term options but again these will depend on your reason? What’s the best property type to buy? This will come down to your preferences above (Lifestyle or Investment) and if you wish to build a home, buy existing, live in Bali or seek positive returns. Here are the general options and BVR Property will help you with this. 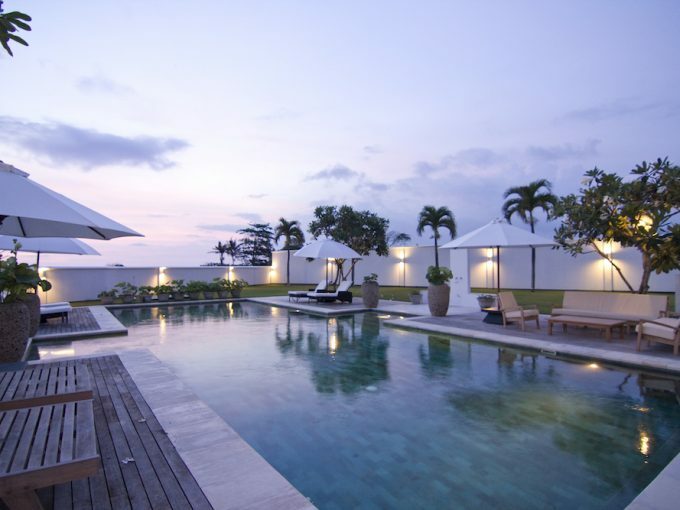 What is the normal due diligence to own property in Bali? Usually, all property transactions (ie actual settlements ) are carried out by an independent Notarist whom usually the buyer Nominates. The Notarist will carry out the Due Diligence on the property and look at all the legal and localize aspects and issues with a view to protect you and make sure what you are buying is clear of any mortgages, land title and access issues. As part of this due diligence, they will require the following documents which will provide you. Copy of the land certificate and copy of mortgage title certificate or a copy of Right of Use Title certificate (if any). Copy of the last/recent PBB annual land Tax receipt. Copy of the property owners KTP card. Copy of the IMB (if in place). Copy of the relevant operating licenses i.e. Pondok Wisata etc. Copy of the Payment Evidence of Construction Tax (if any). Copy of the existing nominee arrangement documents (if any). 3. A copy of leaseholders passport (if owned by a foreigner). A Notarist will usually charge 1% – 2% of the transaction value to cover all their cost for Due Diligence and Settlement. Note – at settlement they will require all the relevant Original documents. What / who is a Notarist? A Notary /Notarist is a person who is licensed by the Government to perform various legal transactions and duties. In general to become a Notarist their study time and requirements are much higher than that of a lawyer in Indonesia. The Notarist is an independent person who’s role is the finalize property transactions (plus other duties) and act in a neutral position PLUS to ensure that any transaction is in accordance with Government regulation. They will also manage a trust account and assist you with holding and paying all the payments associated with the property transaction. They generally charge 1% of the contract price as their fee. An IMB is generally a permit to build a building. Part of the IMB includes your detailed drawing and plans, planning and zoning, building heights, environmental approvals etc. The IMB will outline what the building can be used for e.g. Residential (to live in only) or Business (the right to holiday rent for example). Make sure that the IMB is suitable for your purposes however you can change an IMB and its purpose subject to various approvals and fees. The IMB is usually in the land owners name. If you wish to build something on your land then you will need to obtain an IMB first which can take a few months to obtain the relevant approvals and licenses. Complete drawings of your proposed building including foundations, elevations, plans, structural and services. Ensure that the building is in line with the correct zoning for that land. A copy of the land certificate. Signed permission from all of the neighbors (attached land owners). If your is a leasehold property this is sometimes easier as the same owner of your land may also own the adjoining properties. If it is part of a sub division you may also need Ijin Kavling (subdivision permit). How is the zoning regulation in Bali? Most land in Bali is zoned either Agriculture, Green belt, land to develop, Tourism, Business, Government or Commercial and there are restrictions on what can be built (if anything) and its use. Plus there are other issues such as set backs from eth Beach (high tide mark) and drivers etc. Zoning has changed significantly and regularly over the past years and it is very important that you and your Notarist look at the zoning of the property you are buying to ensure it’s in line with your requirements. In general, the strengthening of zoning regulations is a benefit to us all and allows Bali to grow as planned and without the worry of something being built in front of the view you just paid for. What are the taxation issues in Bali? Like all countries there are taxes payable in Indonesia and the type and amounts will vary according to what property and how you own the property. This is a complicated question and BVR Property can give you some general information but we suggest you to seek professional advice on this topic. With the new Government clamping down on corruption and reforming taxation in Indonesia the Government is reviewing many forms of taxation which in the end is helping the country to stabilize, create infrastructure and provide us with a better future. How can I live in Bali? It is estimated that there over 100,000 expats are already living in Bali and each person needs a visa or Kitas (permanent visa 6- 12 months) to so. There are a number of Kitas/ Visa options to stay permanently in Bali depending upon if you wish to travel back and forward, or work and run a business or simply retire (over 55 years old). This is generally an easy process but can take time so you need to think and plan ahead if you are considering this option. Again BVR Property will be happy to help you in this area and introduce you to our reputable agents who can do it all for you.